Does your child have first day of school jitters for the school bus? 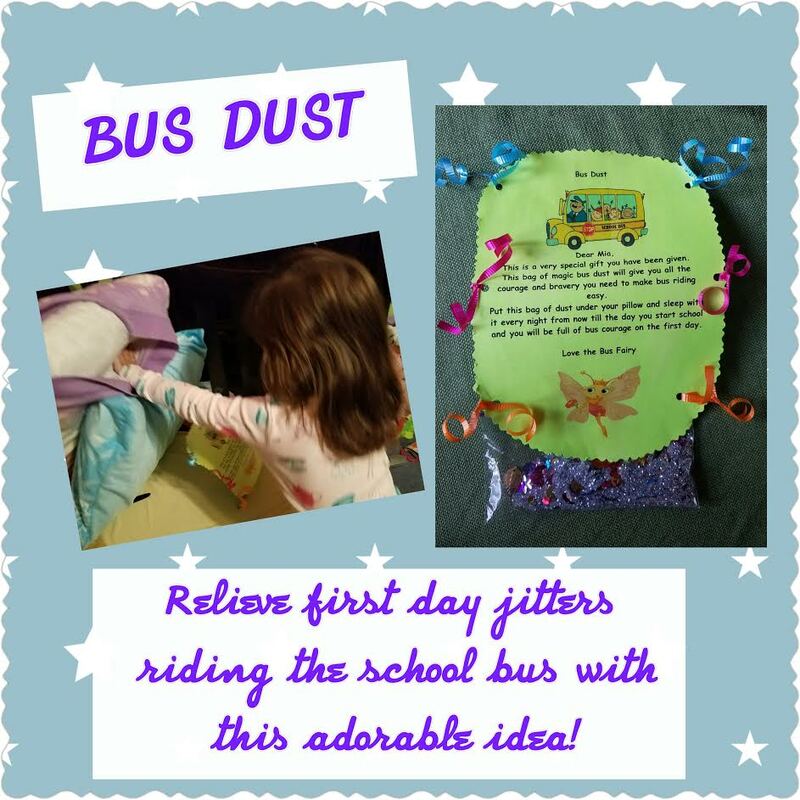 Try this adorable idea of having them get a letter from the Bus Fairy with bus dust attached. My daughter will be riding the school bus for the first time this year. She has been a little nervous about riding the bus and she told my neighbor she was excited to go to school on the bus but, she is a little scared. So my very creative neighbor, Keri came up with this idea along with her daughter. 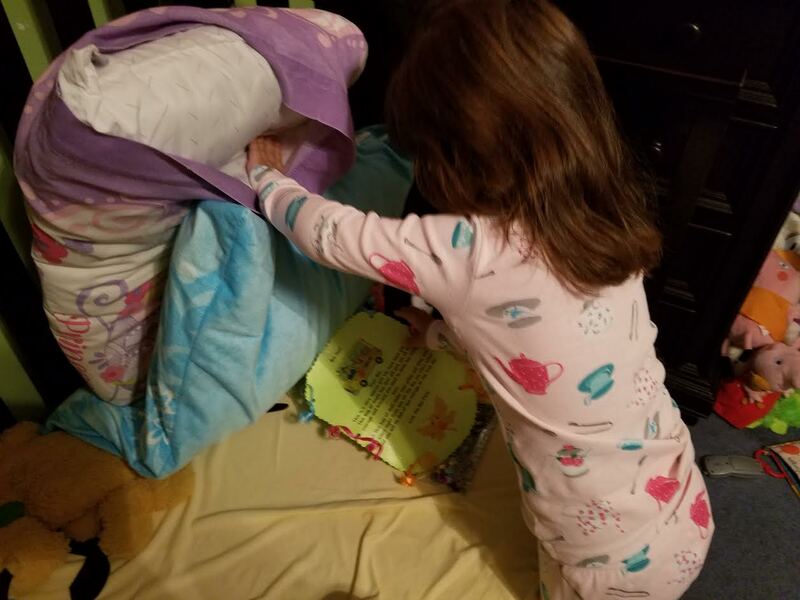 Even though her daughter is only going into second grade and believes in the usual things like Santa, tooth fairy, Easter Bunny, etc… she loved this idea that her mother came up with to help her younger neighbor get over her fear. Keri, thought of the Bus Fairy (which none of us have ever heard of) and told her daughter that the magic of the Bus Fairy would be their secret. The Bus Fairy delivered the note to our mailbox for my daughter to find. This is a very special gift you have been given. 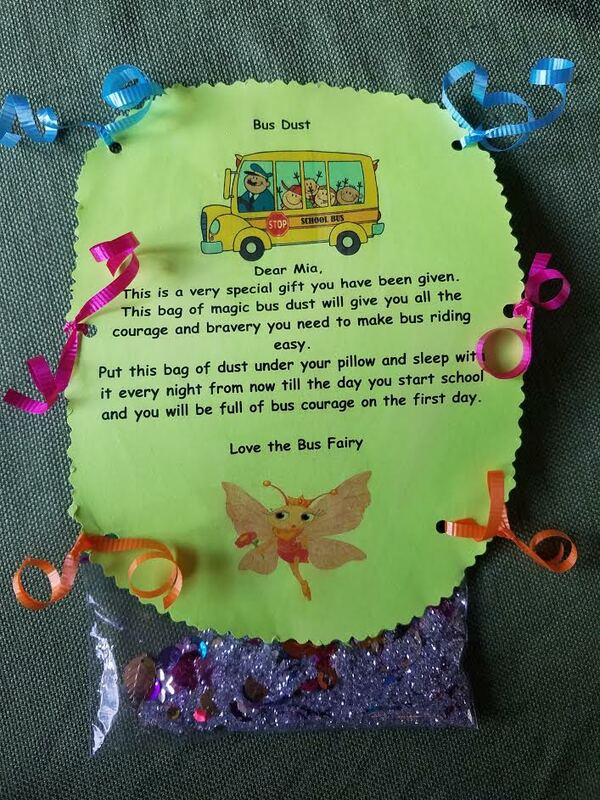 This bag of magic bus dust will give you all the courage and bravery you need to make bus riding easy. Put this bag of dust under your pillow and sleep with it every night from now till the day you start school and you will be full of courage on the first day. I can not tell you how much I appreciate the time and effort it took for my neighbor to do this. My daughter could not have been happier to receive this note and the special bus dust. It made her feel so special and she put it under her pillow before bed that night. We have slept with it under our pillow for two nights and now she could not be more excited to ride the bus. We are more excited than nervous now and I am forever thankful to Keri. A ziploc bag filled with glitter and confetti pieces of stars and gems. Let us know if you tried this with your child and if it helped relieve any bus jitters your child may have.